As the name suggests, event photography is the practice of taking professional photographs at specific events. However, there is a lot more to it than simply taking some nice photos. Event photography takes time, patience, and plenty of preparation. It’s about capturing the perfect combination of people, places, and things to create a whole that explains exactly what the event was all about. In other words, good event photography tells a story so that those who weren’t there can feel as though they were, and those who were there can relive it all through the images. 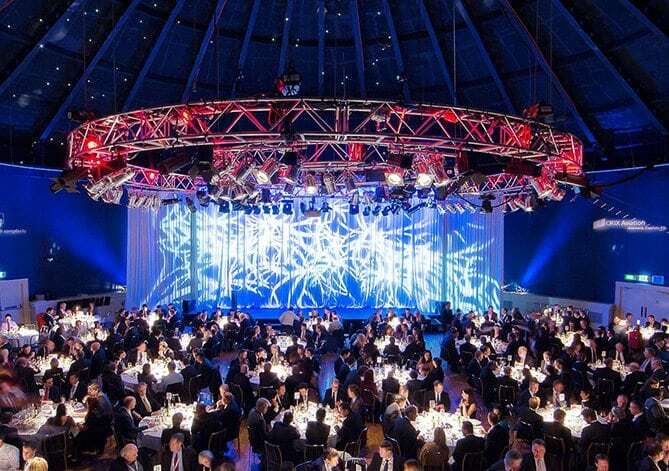 Harrison Media have captured many events throughout the years across Dublin. From small, intimate meetings to big trade shows, we’ve seen it all. We cover all types of events including product launches, gala dinners, team building days, awards ceremonies and live music. So, Why Should You Hire a Photographer for Your Events? You may be tempted to get take photos of your upcoming event yourself or get a friend who is a hobby photographer to capture the moment. However, this may be a big mistake. There’s a reason that a photographer charges for what he or she does; it’s because they know what they’re doing. Having said this; we have provided you with a hand full of some great reasons why you should always hire a professional, such as Harrison Media, for your events. A professional photographer will always have everything they need to get the job done. They not only do it right, but do it well. They will have a high-quality camera to start with – and they’ll probably have a backup camera too, just in case the original one breaks mid taking shots. They’ll also have a variety of different lenses and lighting equipment to ensure that every shot is absolutely perfect. While it’s possible to get some good shots on a standard camera, or even a smartphone, nothing beats the shots that a photographer can get with their high-quality, state of the art cameras and accessories. Experience is key when it comes to photography. A professional events photographer will know, for example, how to deal with the weather. If it’s a cloudy day, or a sunny one, they have the experience needed to ensure that perfect shot. They know where to get people to stand so that shadows don’t obscure faces. They will know which aperture to set their camera to, and how to take that photo that you – and everyone else – will love. How do they know how to do all of this when an amateur doesn’t? Experience. Experienced professional photographers will have seen it all (or a lot of it at least) and they can work quickly so that not a single shot is missed. One of the skills that a professional photographer will pick up over the years is how to put people at ease in front of the camera. Not everyone loves having their photo taken, but at a special event it’s important, even essential, to make sure that everyone is captured digitally. A professional can deal with the most reluctant of subjects to get them smiling happily in no time. It’s all part of the job.